In Alaska, 80% of communities are unconnected to a road system. 60% of rural counties, and nearly half of all U.S. counties, lack a single qualified prescriber of buprenorphine. Congress and the DEA are weighing lifting obstacles that currently block use of telemedicine for buprenorphine prescribing. Some fear that loosening rules could foster diversion and worsen therapeutic outcomes. The 46-year-old mom and graduate student from the Denver suburbs started medication-assisted treatment in the fall of 2011 after admitting to her pain doctor that she’d been exaggerating her symptoms (migraines, neck aches from whiplash) in order to satisfy an oxycodone habit. McKean started her buprenorphine treatment in a doctor’s office, sitting under observation “until I had enough medication in me that I felt better,” she recounts. But now, for three out of four monthly refills, McKean opens an app on her cellphone to video conference with her doctor or one of his physician assistants. The app saves her the drive into Denver—40 minutes without traffic. “I just have to remember to make sure I brush my hair,” she says. When President Trump declared the opioid epidemic a public health emergency last October, he called for expanded access to telemedicine. Advocates of the practice say it extends a lifeline to patients in rural counties, where opioid overdose rates exceed those in cities. But because buprenorphine is itself an opioid, susceptible to diversion and abuse, access to it—including by telemedicine— is tightly regulated by both federal and state law. Congress and the Drug Enforcement Administration are now considering whether to ease those restrictions. Under federal regulations, physicians can’t prescribe buprenorphine without completing eight hours of specialized training. Unfortunately, not many physicians do. As a result, only about half the counties in the U.S.—and just 40% of rural counties—had even one qualified buprenorphine prescriber in 2016, according to the Rural Health Research Center. Patients and physicians also face an array of divergent state rules governing Medicaid reimbursement for telemedicine sessions. The rules vary depending on the type of service and the location of the patient. Forty-eight states and Washington, D.C., offer reimbursement for at least some kinds of live-video telemedicine, according to the National Telehealth Policy Research Center, but only six states provide it for patients conferencing from home, like McKean. Even requiring that the first visit to a buprenorphine prescriber be in-person can pose a nearly insuperable obstacle in some parts of the country. In Alaska, for example, 80 percent of communities aren’t even connected to a road system. “Our communities are a thousand people or smaller, so we have a really hard time recruiting even nurse practitioners and physician assistants, let alone physicians,” says Jennifer Harrison, CEO of Eastern Aleutian Tribes. Harrison, who is based in Anchorage, oversees eight community health centers on the Aleutian Islands off southwest Alaska–commercial fishing hubs where she says heroin-related overdoses are on the rise. 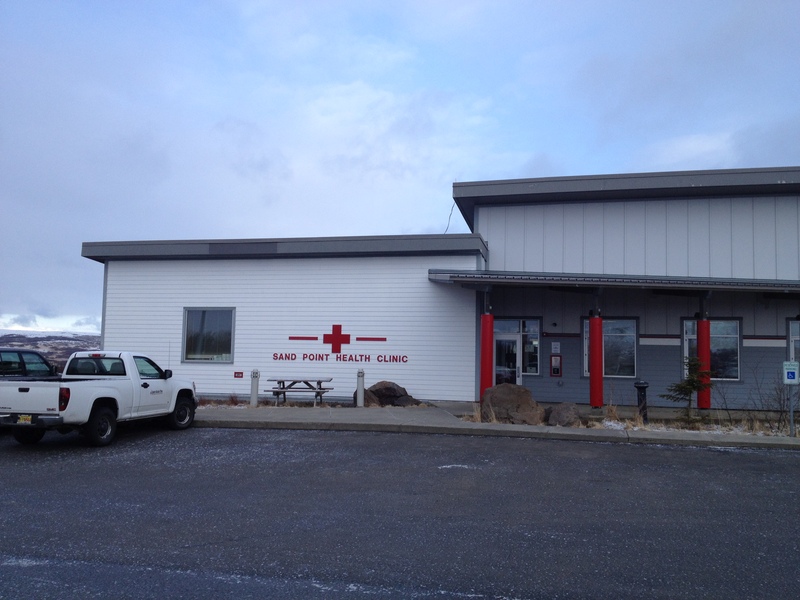 Sand Point Clinic, in Sand Point, Alaska, in the Eastern Aleutian Islands. There aren’t any doctors on the islands authorized to prescribe buprenorphine, she says, and flights to Anchorage cost about $1,000—out of reach for low-income residents. In an emailed statement, DEA spokesperson Melvin Patterson says the agency is drafting regulations now, but declines further comment. Lifting the in-person requirement on the first visit “would be a real game changer,” says Lisa Mazur, co-chair of the Digital Health Practice at McDermott Will & Emery, where she represents telepsychiatry companies. “Because that means that psychiatrists could get in front of these patients more quickly,” she says. “Which could have a real promising result on the patient’s condition and chances of recovery.” Mazur hopes that the states with their own laws would follow Congress’ example if it amends Ryan Haight. But eliminating the legal barriers won’t necessarily compel facilities to set up telemedicine technology and start seeing buprenorphine patients, advocates warn. Some people are just reluctant to deal with opioid users. Other practitioners think the diversion risk is overblown. “If an adult who has never taken opioids takes bupe, they will get high,” says Jeffrey Junig, a psychiatrist in Fond Du Lac, Wisconsin. But veteran users will not. Furthermore, he adds, “it’s very difficult to die from bupe alone.” Overdose is unlikely, he says, unless the drug is mixed with another respiratory suppressant, such as Xanax or Klonopin. Still, some telemedicine providers simply believe that having the first visit be in-person is the best practice as a clinical matter. One psychiatrist in suburban Minnesota, who spoke on condition of anonymity because he did not have his employer’s authorization, says he sees many buprenorphine patients via video conference, and refills their prescriptions that way, too. “I talk to them about their triggers, what their cravings have been like, how they’re managing, make sure they’re not on other drugs,” he continues. In the most alarming story of the week, the New York Times reports that a new Medicare regulation threatens to halt reimbursement of opioid medications for 1.6 million chronic pain patients.